Catherine Linstrum is a writer, director and trainer based in the UK. She has a track record of writing theatrical features and has directed numerous short films, including Nadger, which won a BAFTA Cymru award. She’s currently developing features as both a writer and a director, including The Rescue (director Eric Styles) and Greenland Time which she will be directing (producer Michael Dobbin). As a trainer, Catherine has worked with writers in both a university and an industry context, as well as developing acting for the screen workshops in drama schools in the UK. 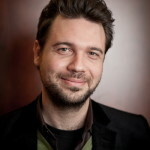 Ioan Antoci is a writer and freelance filmmaker based in Iaşi, Romania. His first script, The Japanese Dog, won the HBO National Screenplay Contest and Krzysztof Kieslowski award for Scripteast Best Central and Southeastern Screenplay in Cannes. The script, produced by Libra Film and directed by Tudor Cristian Jurgiu, was the Romanian entry for the Academy Awards in 2015. Ioan directed and produced three shorts and he worked as co-writer for many different projects from book adaptation to music video. He also writes short stories, stage plays and stories for children. He is currently developing several features and shorts, of which one is in postproduction (4 ½ senses). In 2015, he ran his first screenwriting workshop, „Motion pictures picture emotions”. Currently working for MEDIA (European Audiovisual Programmes), Patrice Vivancos started as a Director/producer (2 Feature films and several documentaries) in Greece (1981-1994), before taking the helm of the Forum du Cinema Européen in Strasbourg (1995-2003). 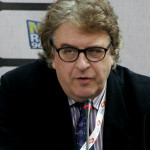 He was then head of a Film Commission and Regional co-production fund in Valencia, Spain (2005-2008). He has also published a book about European cinema (Paris, 2002). David is the director of advance films with whom he has slate of projects in development. www.advancefilms.com. He has worked as script consultant on single projects and slates in US, Europe, Middle East. North Africa and Asia. He is the annual consultant / moderator for the Rotterdam Lab at CineMart, co-designs and delivers Story Campus a travelling conversation on the nature and future of storytelling for screens and regularly teaches at film schools and runs workshops at international film festivals. Mary Kate O Flanagan is a screenwriter and script consultant, working with writers and producers internationally, helping to shape stories by emerging and established screenwriters. She designs and delivers training in the craft of screenwriting in Ireland, across Europe and in Africa. Her particular area of expertise is in The Sequence Approach. She is a tutor on MEDIA-funded programmes such as Midpoint, MAIA, Engage and has been a speaker at The London Screenwriters Festival, The Galway Film Fleadh, The International Film School in Cologne and FAMU, the Czech Film School. She is the course designer and lead tutor at Storyworks run by Valletta 18 and Midpoint among others. Mary Kate is a working screenwriter and has won two pan-European awards for her screenwriting, holds an MA in Screenwriting. She is a published short story writer and a Champion Storyteller at The Moth. He was born in Athens, Greece, in 1978, where he studied in two different colleges Graphic Arts and Multimedia Design (BSc). Writer-director with extensive experience in international co-productions, working first AD for some of the big names: Francis Ford Coppola, Costa Gavras, Anthony Mingella. Passion for psychology and characters. Married. Living in Bucharest. 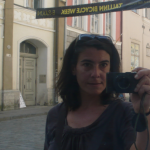 Experienced producer, international educator and expert of documentary film, based in Warsaw, Poland. Head of ADA Academy of Documentary Arts organizing international trainings and pitchings (a.o. 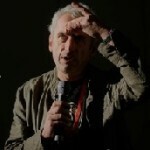 Dragon Forum at the Krakow Film Festival). Member of EFA European Film Academy, board member of the Association of Polish Filmmakers. Luc Ntonga is managing director an d co-founder of the French distribution company INSOMNIA WORLD SALES, which is dedicated to the marketing and distribution of independent films and unconventional documentaries. Since 2004 he has been responsible for the distribution and licensing of more than three hundred titles including many Award-winning feature films. In 2012, Luc NTONGA has founded COSMOPOLIS FILMS, a French new production company devoted exclusively to international coproductions. Ana graduated in Journalism at the University of Navarra, and specialized in Film at UCLA. Giovanni was born in Genova Italy in 1958, he is a screenwriter and director as well as a film professor and trainer.